SUNDAY 12th MAY: A GOLDEN AGE FOR AUDIO DRAMA? 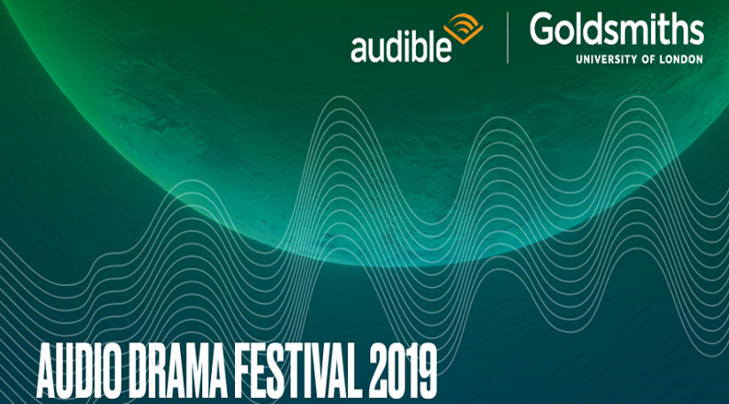 This two day event is run by Goldsmiths Department of Media, Communications and Cultural Studies in association with Audible (the world’s largest seller and producer and audiobooks, audio dramas and podcasts). We are proud to welcome some of the UK’s most renowned audio dramatists, directors, producers and makers including Dirk Maggs, Jeremy Howe, Roy Williams OBE, Sarah Woods and Jessica Dromgoole. Day 1 will be a Science Fiction and Fantasy themed day, with panels on writing and producing speculative and fantastical stories for audio audiences. The key note speech will be given by Professor Sean Street, an acclaimed audio theorist and practitioner. It will include an audio ‘listening’ of a a recent classic SF drama broadcast as part of the BBC’s DANGEROUS VISIONS season. And the day will culminate in a smaller event in the Marquis of Granby for an evening of networking and listening. In Day 2 we explore the question, Is this a Golden Age for Audio Drama? The keynote speech will be given by Jeremy Howe, former Commissioning Editor for BBC Radio 4 where he oversaw over 300 titles a year. There will be a Live Pitching Panel in which recent students and alumni will pitch their audio drama projects to a panel of commissioners and practitioners; and we will also host live performances of short audio dramas written by Goldsmiths students. Guest speakers will include Jason Phipps, the BBC Head of Podcasts, and Steve Carsey, Director of Original Programming for Audible UK; and there will be a Q & A with our Guest of Honour, Roy Williams OBE, preceded by an audio ‘listening’ of one of his exceptional audio dramas from the series THE INTERROGATION. We would love to see you at this event. Tickets are free but must be reserved on THIS EVENTBRITE SITE. There will be networking opportunities and for all our Goldsmiths students, this is a rare chance to have an insiders’ view of the rapidly expanding world of UK audio drama.